With the introduction of the combined breed analysis (CBA) planned for February 2018 speaking at the Sheep Breeders Round Table, Eastwood, Sam Boon, Signet Breeding Services explained what it will mean for sheep producers. THE CBA will evaluate all terminal sire breeds together in a single best linear unbiased prediction (BLUP) run which will be updated more frequently than currently. Mr Boon said: “This will be a more streamlined way of delivering EBVs. They will still be breed specific, but it will enable producers to compare several breeds on the same farm. EBVs will change with a new base being set for each breed and some new ones introduced, including spine length, CT predicated intra-muscular fat and CT derived eye muscle area. A conversion table will be published to make breed comparison easier. Mr Boon said the initial results seem similar to current rankings, with more variation within a breed than between breeds. One of the biggest changes to come with CBA is the introduction of weight-adjusted EBVs for existing traits such as muscle and fat depth. Historically, these have been adjusted for age to identify lambs which lay down the most muscle at a certain age regardless of weight. Mr Boon said: “Sheep can achieve high muscle depth EBVs in two ways – either by being big, as genetically bigger sheep tend to have more muscle, or by having high muscle depth relative to their weight. “The new system will help breeders to select for muscling independently from growth and make it possible to compare levels of muscling and fat at a fixed liveweight rather than a fixed age. “This should be helpful to commercial producers, as lambs tend to be drawn on finished weight not age. WITH the demand for light lambs falling, genetic improvement in hill flocks can help decrease the number lambs in this category, according to independent sheep geneticist Janet Roden. 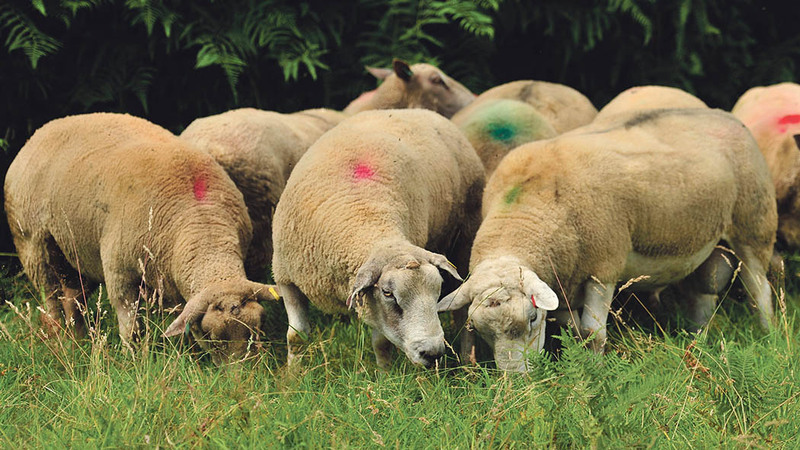 Hill flocks make a huge contribution to the UK sheep industry, with 25 per cent of all lambs slaughtered having hill genetics and 65 per cent of flocks in Wales have hill sheep. Ms Roden said: “Even though it has been proved that performance recording is beneficial, uptake in hill flocks is low with just 4 per cent recording. Where recording is taking place it has resulted in significant improvements to both the mothering ability of the ewe and the carcase value of the lamb.